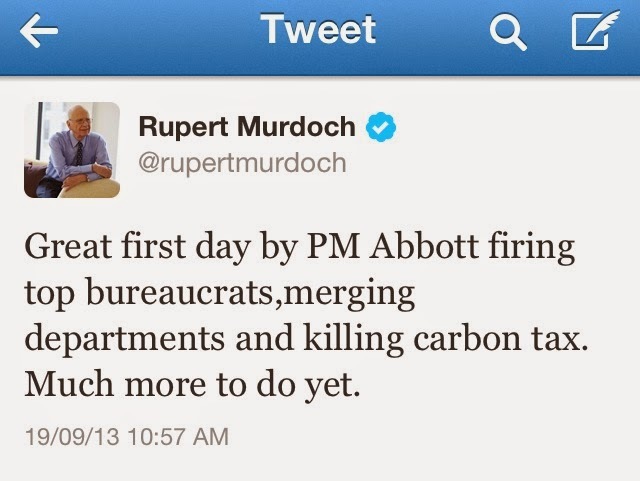 Tony Abbott is Australia's Prime Minister. Despite believing that Australia was “nothing but bush” prior to English settlement he is also the Minister for our Indigenous Affairs. Famous for knighting princes, his mastery is the policy pronouncement from left-field; the “captains call”. Captain here could be in reference to Captain Ahab but our less focused Tony seems to have a new giant mammal in his sights every week. Only a complete lack of negotiating skills ensure that none adorn his wall as trophies. The latest Quixotic challenge of Tony's is to revoke "the benefit of the doubt” which as captain he feels we can no longer afford to extend. But Tony has been timid in his proposed cuts to this archaic pillar of reason and retrograde courtesy. Only certain groups are to have their benefit of the doubt revoked; asylum seekers, applicants for citizenship and the recipients of welfare benefits. These three seem like odd groups to target first; applicants for citizenship because sensibly governments encourage citizenship. Citizens, while being entitled to certain rights and protections, are also expected to invest in their new nation and are under obligation to care for it, specifically in Australia by voting. Generally it is preferable to have permanent residents take up citizenship rather than retain what might be an interloper's identity. 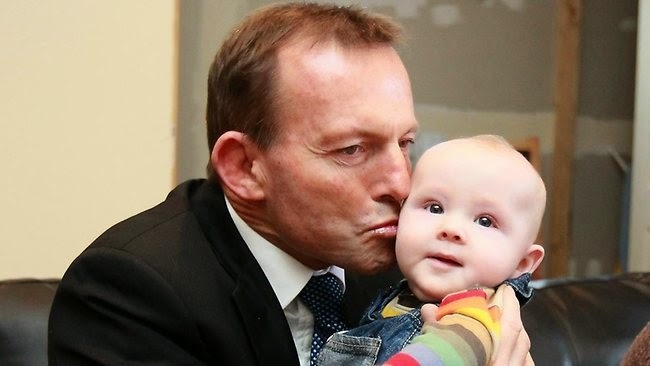 This love of country was presumably Tony Abbott's own motivation when, at the age of 24, he took up Australian citizenship (albeit without forfeiting British citizenship). 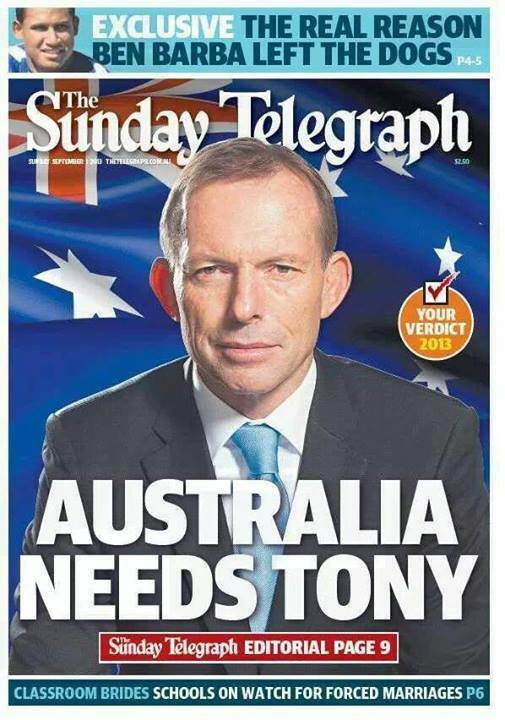 For the six years before then Mr. Abbott could only utilise Australia's colonial legacy of permitting all British citizens (with a residence of six months of more) Australian voting rights anyway. Could such disadvantage give him special insight into the problems of stateless persons who seek citizenship here? Welfare recipients and asylum seekers certainly wouldn't be among my other first targets for any rationalisation of the benefit of the doubt. They are clearly the most reliant on it. If we are to presume that all welfare recipients are welfare -cheats or that all asylum seekers are disgenuine smugglers of themselves then frankly lives will end. Here the “benefit of the doubt” is hardly surplus but provides the basic air to breathe. In fact without the benefit of the doubt we may as well just replace the categories of welfare recipients or asylum seekers with “criminal”.... oh. Yes, I see. Still, if we consider the benefit of the doubt as a sort of fat in the conceptual budget of our compassion then arguably the most needy have already had their bacon trimmed. Instead I want to suggest to Tony Abbott a range of other areas where benefit of the doubt seems to be wastefully and disproportionately accorded. Some of these are sacred cows of the political establishment so this is a call for Tony's trademark boldness and innovation. We all know that politicians lie. Sometimes they even warn us not to take them seriously as they will be speaking “off the cuff” at any given time. Still large amounts of the benefit of the doubt is handed over to them at every election. This costly resource is spent so flagrantly that completely fraudulent costings can emerge mid-campaign with benefit of the doubt to spare. We can soften the blow by commenting on how little explicit electoral violence there is in Australia. But the peacefulness of our voting doesn't change the fundamental economics. We are decades deep in deficit in our benefit of the doubt spending on politicians. An increasingly disillusioned electorate suggests this is unsustainable. If the benefit of the doubt spent on refugees and welfare recipients is a leaky tap then the waste on politicians is a burst pipe. By withdrawing generosity to the needy we may indeed have a tiny bit more to fill our electoral swimming pool with but for how long? Frankly claiming to be interested in the people treating Australians like mugs and not looking at politicians is like having an energy policy that ignores the sun. When Alan Bond financed the America's Cup win in 1983 for us nobody could question his patriotism. When he was jailed in 1997 for embezzling $1.2 billion we almost didn't forgive the larrikin, even removing his Order of Australia. It was as if the benefit of the doubt for Australia's ultra-rich might be permanently damaged. But this was to prove a mere hiccup in the love of a nation that can barely stop itself from officially becoming a squatocracy. Kerry Paker's famous declaration,“Tax me if you can, I'm the gingerbread man.” (or something similar) was a moment of honesty about the obligation all truly wealthy people feel towards their nominal nationality. Despite this, Australian governments baulk at addressing our internationally renowned supermarket and media concentration, or negative gearing or our reliance on coal on the advice of our most wealthy citizens. After all they probably only want what is best for the whole country. In 2010 the mining oligarchs in Australia ran a campaign informing people that a tax on mining super-profits was bad. Few noticed the conflict. 22.2 million dollars was spent in six weeks. Few complained it was a distortion of democracy when the Labor party dropped the teeth from their policy in response. We extended the mining magnates the benefit of the doubt when they declared their involvement “patriotic”. We continued extending when they patriotically donated 1.9 million to the opposition before the 2010 election for the promise to scrap the mining tax altogether. There have been some reductions in the benefit of the doubt afforded the corporate sector lately. Big tobacco couldn't convince the High Court that it was an artist in a soviet gulag when made to convert to plain packaging. But to stop here would be foolish. James Packer, (a “huge Tony Abbott fan”) and Rupert Murdoch (of the “Australia Needs Tony” front page fame) still make regular policy contributions and co-write our trade agreements. There's enough fatty generosity here to make soap for the nation. I'm beginning to suspect Tony that you may be a little too close to some of our major benefit of the doubt budget holes. In fact you seem a little free with your own benefit of the doubt. Your decision to be a glowing character witness for a priest charged with sexual assualting a 14 year old boy in 1997 is hardly the sort of tightened spending we're aiming for. Especially not considering he was defrocked shortly after or that you continued to defend the Catholic Churches response to sexual abuse up till 2013. An open tender could also reveal those areas which get the benefit of the doubt so freely that we don't even estimate our expenditure. The Queensland police force perhaps? ASIO whose powers and expenditure are increasingly without any oversight? Andrew Bolt? There are hefty unaddressed accounts for these institutions in terms of the public benefit of the doubt. The danger is a truly open tender could go nasty Neighbour could nominate the benefit of the doubt granted neighbour. Shopkeepers could suggest “schoolbags must be left outside” signs become mandatory. Frozen berries will never be sellable again. Ministers may have to wear body-camera's when meeting party donors. Your new anti-terrorism measures will be viewed as fear-mongering by a desperate snake-oil salesman about to be tarred and feathered. This blog post is itself a prime example, Tony. It's mean spirited compared to most of what I write. Should we really judge you just for being a belated citizen or even for your loyalty to an old friend and pederast? For that matter shouldn't we move on from such old history as your broken promises from almost four whole years ago? If I haven't been measured and calm Tony, if I've been overly concerned that you treat me like a mug, then its partly on your recommendation. You may want to reconsider; is the benefit of the doubt something we really can ill afford? How will you survive without it?